The What: Christie has launched the Christie UHD861-LT, an 86-inch UHD LCD panel with an integrated touch screen. The What Else: The panel rounds out the Access Series family of displays, which are available in 55, 65, 75 and 86-inch sizes. 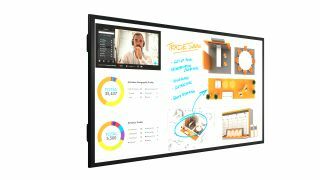 Offering a balance between performance and price, the new display is Crestron Connected and features integrated touch and is designed for 16/7 performance, making it ideal for installation in meeting and lecture rooms, and applications including menu boards and kiosks. The Bottom Line: The Christie UHD861-LT ships in late 2018.